All the locomotive driving wheels in the kits are sprung to ensure good road-holding and electrical pick-up. The wagon range – all are 4-wheelers – currently in 2017 does not have springing or compensation but relies on the weight of the cast solebar/axleguard assemblies to keep the centre of gravity low. This will suit all F/S layouts and many S7. 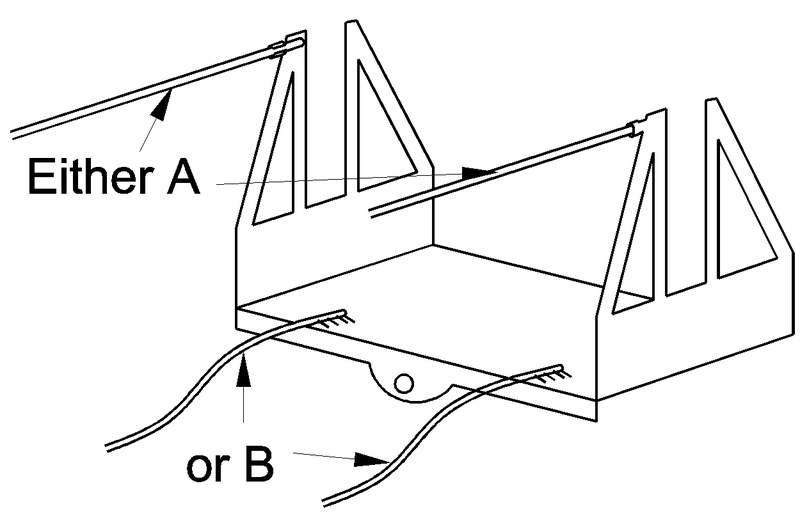 A: the tie bars supplied are 0.7mm N/S rod which is inherently springy and should be soldered or glued as shown. The most recent etches have little tags that can be curled round the wire. B: alternatively, bend some of the supplied phosphor bronze wire to the S-shapes shown and glue or solder to the pivoted unit. Arrange the springs to bear equally on the floor of the vehicle. Whichever method is used, only a little movement is needed, say ½ to ¾ mm either side. You may also need to add some weight under the vehicle for road-holding. Of course this is true of any model vehicle. Equally, if your track is well-laid, you may decide not to use compensation and pack styrene or card under the unit to stop it rocking. There are two main ways of arranging the castings so that they don’t stop the rocker moving. The spring or combined spring and axlebox can be located with the wheel bearing and fixed to the W-iron with epoxy glue. It is trimmed if necessary and arranged to move up and down between the spring hanger castings. The SER/SECR combination oil or grease box (under the middle of the spring in the photo) has to be cast separately from the spring and in the 1872 horsebox kits the spring and hangers are cast with the solebar. In this case, the axlebox is glued to bearing and W-iron and moves up and down while the spring stays still. 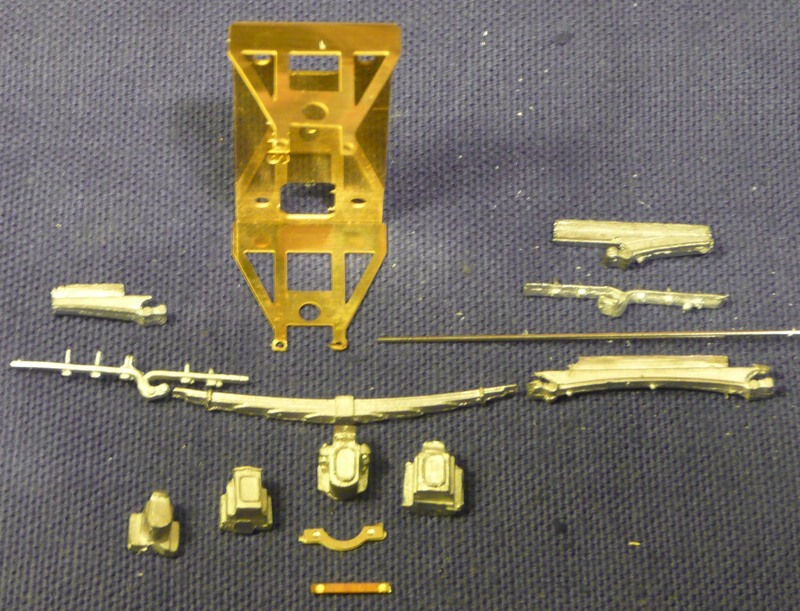 The photo shows possible combinations using different castings from the Parts range, with different keeper plates from the etch.